The HARBINGER – HOAX or HISTORY? For several months now I’ve heard many Christians talking excitedly about this book entitled The Harbinger by Jonathan Cahn, a professing Messianic Jew and pastor of The Jerusalem Center, a worship center in Wayne, New Jersey. I was looking forward to reading it myself until I heard from sources I deem reputable that it was not a sound treatment, and because I was very occupied elsewhere, I dismissed such an opportunity to have a look at it. Then there came controversy and debate over this novel (which Cahn claims is based on factual information) on whether or not it portrays accurately issues on Israel, America, the judgments and the covenants of God, as well as other crucial matters regarding hermeneutical perspectives on the Scriptures. 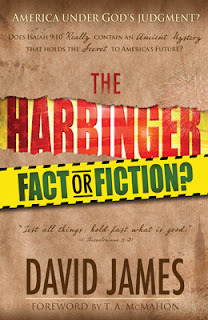 So I decided to get a book about it by David James (HARBINGER: Fact or Fiction, a primary source for this article) as well as borrow a copy of the Cahn novel from a friend. More Problem Areas We Will Encounter in the Last Days! I apologize for have gotten away from this series. As you know the Lord directs our steps. Things pop in and out of our lives that need focus and attention and we must follow the Lord's direction. In our last post in this series, we covered parts 5-6 dealing with a couple of problems areas we will encounter in the last days. In this segment we will continue on with this same thought, dealing with physical upheavals and spiritual warfare...something we can all relate to. In the past couple of weeks we've seen the Northeast portion of the United States hit with Hurricane Sandy which turned into a Super Storm after colliding with another storm system to the west. We've read the news, people are suffering, they've been heaved from their homes and are living in desolation..no roof over their head, no electricity, no heat, no water. As organizations and ministries rush to aid in this tragedy, this is just the beginning of the sorrows that lay ahead. "The letter expresses incredible courage, faith and resilience in the face of increasingly dire conditions. It is clear that Syria is experiencing a war within a war. Christians are caught in the crossfire and are being driven from their homelands on account of their faith. This is a complex situation, but we need the media to tell the story of what's really happening to the Church. The astonishing spiritual maturity of suffering Christians in Syria should prompt us all to prayer and action." I could write volumes of examples and events happening around the world....yet are people heading the warnings? Is the Church? The Church is also battling intense Spiritual Warfare. Every kind of immorality is being thrown in our face. We are witnessing apostasy in the church. The church is sick, she has compromised with the world and the world's philosophies and as a result we are watching a great departure from biblical truth. What is the Christians response to these events? In 1973, in the era before 4-D ultrasounds made their way into the lives of ordinary American couples, the U.S. Supreme Court declined to specify when life began in the historic case known as Roe v. Wade. In fact, when read with its companion case, Doe v. Bolton, Roe allowed for abortion to take place during all nine-months of pregnancy. That's why abortionists were able to get away with the heinous practice of partial-birth abortion. 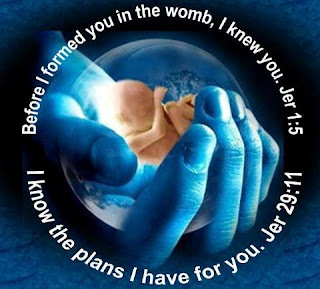 When President Bush signed the Partial-Birth Abortion Ban Act (S. 3) into law on November 5, 2003, pro-lifers saw the culmination of an eight-year struggle led by the National Right to Life Committee (NRLC) and congressional pro-life leaders. The bill represents the first direct national restriction on any method of abortion since the Supreme Court legalized abortion on demand in 1973. A Gallup-CNN-USA Today poll conducted in late October found that among "young adults" (age 18-29), the ban is favored 77-19%, while among the older groups, support was 68-25%. A Gallup poll conducted last January, which specified that the method is "conducted in the last six months of pregnancy," and has a life-of-mother exception, found 70% for a ban. Despite the fact that the vast majority in the United States support a ban on partial birth abortion, President Barack Obama has pledged to sign the Freedom of Choice Act, lifting ALL federal regulations on abortion. This would include parental consent, and the ban on partial-birth abortion. The result of this reckless act would be at the very minimum 125,000 additional abortions each year. And here is the rest of it. In this final installment of chapter Twelve of Romans, we will examine the very practical aspects of Christian conduct in various situations, among them, persecution, which is increasing the world over exponentially (read about the four major trends that are influencing the persecution of the church in the preceding link at Open Doors ministry). Many of you are aware of the fact that more Christians have been martyred in the last 100 years than the entire history of the church since its inception! That is a remarkable statistic, especially when one considers the massacres of believers committed by the Caesars of Rome and the Popes of the Roman Catholic Church! The Promises and Covenants with Israel Have Been Broken? There are those that believe that since Israel has rejected their Messiah, the LORD Jesus Christ that the promises of God to build them an everlasting kingdom where Jesus, the Son of David, would rule from His father’s (David) throne have been done away with. Jesus was crucified, being rejected by Israel’s ruling authorities, and so these people believe that the promises once given to Israel have been given now to the church. This is called Replacement Theology and is unbiblical (we will see why this is so in the following second half of this two-part article)! To help us address this issue (and some others) we now want to watch this video on Paul Wilkinson at The BEREAN CALL Conference regarding these issues: Christian Palestinianism in 2011 (1 hr. 06 mins.) as well as this video: Pre-Trib Conference #14 - Paul Wilkinson - Israel Betrayed: Christian Palestinianism’s Crusade Against Premillennial Truth in 2015 (1 hr 18 min). Bible scholars and theologians study with a methodology known as Systematic Theology. This is a study that organizes biblical subjects and topics into categories that makes it more accessible and easier to study and understand. Soteriology - the study of salvation. Ecclesiology - the study of the church. Christology - the study of the Person of Jesus Christ. Eschatology - the study of prophetic last things and events. Take your Bible and find Genesis chapter 12 and place your thumb there; now find Acts chapter 2 and place your finger there and pick up your Bible holding it in between these two chapters. There are a lot of pages there between your two digits! What primary (among hundreds of secondary others) subject that this section deals with? ISRAEL! 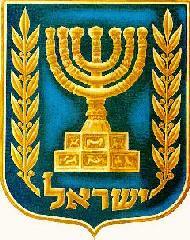 Do you suppose that Israel is important to God? You would sure think so, judging by how much Scripture He has given that deals with this nation (and there is a lot more said about Israel well past Acts chapter 2 as we shall soon see)! Now we continue in our study in this awesome epistle by the apostle! As with the previous chapter and the ones following, Paul turns from the doctrinal to the practical (as he most often does in his epistles). In this chapter we will examine the practical aspects of civil duties and obedience to “the higher powers” which God has ordained Himself. Then he gets into the love we have as a result of the spiritual rebirth in Christ which fulfills the law of God, and in turn leads us to sanctified living. The following article by Dave Hunt shows a clear distinction between the Rapture and the Second Coming. It is our desire that you will read and study the scriptures for yourselves in order to obtain a proper understanding. We do not appeal to human authority, but rather to have the Holy Spirit teach us, according to 1 John 2:27. The Rapture of the church involves all believers being caught up to heaven -- those just resurrected, together with those alive at the time (1 Thes 4:13-18). If it occurs at the beginning of the tribulation period, then clearly Christ’s Second Coming at the end of the Tribulation to rescue Israel in the midst of Armageddon is a separate event. According to Zechariah 14:3-5, "all the saints" must accompany Christ back to earth. But if the Rapture occurs at the end of the Tribulation, it must be simultaneous with the Second Coming, making them one event. Which is it: two events separated by seven years, or one event with two diverse purposes? 1) At the Rapture, Christ does not return to earth but catches believers up to meet Him above the earth, taking them directly to heaven: "I will come again, and receive you unto myself; that where I am, there ye may be also" (Jn 14:3); "caught up...to meet the Lord in the air: and so shall we ever be with the Lord" (1 Thes 4:17). In contrast, at the Second Coming Christ returns to this earth to rule Israel and the world from David’s throne in Jerusalem: "his feet shall stand in that day upon the mount of Olives, which is before Jerusalem" (Zec 14:4); "the Lord God shall give unto him the throne of his father David: And he shall reign over the house of Jacob for ever; and of his kingdom there shall be no end" (Lk 1:32, 33); "And I saw heaven opened, and behold a white horse; and he that sat upon him....The armies which are in heaven followed him....Out of his mouth goeth a sharp sword, that with it he should smite the nations: and shall rule them with a rod of iron" (Rv 19:11-15). 2) At the Rapture there is a resurrection of all believers who have died up to that time: "the dead shall be raised incorruptible" (1 Cor 15:52, 53); "the dead in Christ shall rise first..." (1 Thes 4:16). In contrast, at the Second Coming there is no resurrection until Antichrist is defeated, he and the false prophet have been "cast alive into a lake of fire" (Rv 19:20) and Satan has been bound in the "bottomless pit [for] a thousand years" (20:1-3) -- none of which is even remotely related to the rapture of believers to heaven. Then, to "the first resurrection" which occurred at the Rapture are added a unique group: "them that were beheaded for the witness of Jesus, and for the word of God, and which had not worshiped the beast, neither his image, neither had received his mark upon their foreheads, or in their hands...they lived and reigned with Christ a thousand years" (4, 5). 3) At the Rapture, the bodies of living believers (like those who are resurrected) will be changed to become immortal: "We shall not all sleep [i.e., die], but we shall all be changed...the dead shall be raised incorruptible, and we [who are living] shall be changed. For this corruptible must put on incorruption, and this mortal must put on immortality" (1 Cor 15:51-53); "we which are alive...shall be caught up together with them [the resurrected saints]...to meet the Lord in the air [clearly requiring immortal bodies]" (1 Thes 4:17). In contrast, at the Second Coming all of the saints return with Christ from heaven and will therefore already have been changed into immortality: "the Lord my God shall come, and all the saints with thee" (Zec 14:5); "I saw heaven opened [and one] clothed with a vesture dipped in blood...and the armies which were in heaven followed him [to] smite the nations" (Rv 19:11-15). 4) The Rapture occurs during relative peace and prosperity, when the world does not expect judgment from God: "And as it was in the days of Noah [the last thing they expected was God’s judgment]...they did eat, they drank...married wives...were given in marriage [and as in] the days of Lot...they bought, they sold...planted... 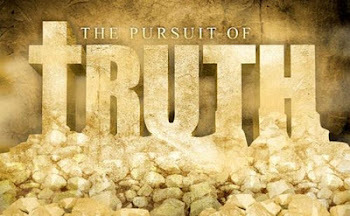 builded....Even thus shall it be in the day when the Son of man is revealed." (Lk 17:26-30). Again in complete contrast, the Second Coming occurs in the midst of the worst war the world has ever seen and following the greatest devastation this planet has ever suffered or ever will: "then shall be great tribulation, such as was not since the beginning of the world...nor ever shall be. And except those days should be shortened, there should no flesh be saved" (Mt 24:21, 22); "behold a pale horse: and his name that sat on him was Death, and Hell followed...power was given unto them over the fourth part of the earth, to kill with sword, and with hunger....There was a great earthquake...every mountain and island were moved out of their places...[men] hid themselves in the dens and in the rocks...for the great day of his wrath is come; and who shall be able to stand?" (Rv 6:8-17); "and the four angels were loosed...to slay the third part of men" (9:15); "and the...sea...became as the blood of a dead man: and every living soul died in the sea. And...the rivers and fountains of waters...became blood...the fourth angel poured out his vial upon the sun; and...men were scorched with great heat...and...there was a great earthquake, such as was not since men were upon the earth....And every island fled away and the mountains were not found. And there fell upon men a great hail [of large stones]...every stone about the weight of a talent" (16:3-21); "And I saw heaven opened, and behold a white horse; and he that sat upon him was called Faithful and True....And the armies which were in heaven followed him upon white horses, clothed in fine linen....And I saw the beast [Antichrist], and the kings of the earth, and their armies, gathered together to make war against him that sat upon the horse, and against his army. And the beast was taken, and...the false prophet [and they] were cast alive into a lake of fire..." (19:11-21). 5) The Rapture occurs when conditions in the world seem to indicate that all is well, when very few expect Christ to return and He catches even the church by surprise: "of that day and hour knoweth no man...in such an hour as ye think not the Son of man cometh" (Mt 24:36, 44). In contrast, when the Second Coming occurs, not even Antichrist is caught by surprise -- the many visible signs alert everyone that Christ is right at the door: "when ye shall see all these things, know that it [Christ’s coming] is near, even at the doors" (Mt 24:33); "the beast, and the kings of the earth, and their armies, gathered together to make war against him that sat on the horse" (Rv 19:19). 6) The Rapture occurs when the church is sleeping, with little expectation of the Lord’s return: "While the bridegroom tarried, they all slumbered and slept" (Mt 25:5); "Watch ye therefore...lest coming suddenly he find you sleeping" (Mk 13:35, 36). In contrast, the Second Coming occurs at the end of the Tribulation in the midst of worldwide devastation and hopeless distress; the Antichrist and his armies are attacking Israel, much of Jerusalem is already captured (Zec 14:1, 2), and Israel is on the verge of annihilation. It is inconceivable that the church, if it were still here, would be slumbering in complacency and under the delusion that "surely Christ wouldn’t come now"! 7) Since the Rapture instantly takes us, without dying, out of this world of sin, pain and sorrow to be forever with Christ and like Him, never more to grieve Him, it is called the "blessed hope": "Looking for that blessed hope, and the glorious appearing of the great God and our Saviour Jesus Christ" (Ti 2:13); "every man that hath this hope" (1 Jn 3:3). In contrast, the Second Coming (or a post-trib rapture at that time) could hardly be called a "blessed hope," inasmuch as very few Christians (if the church were still here) would survive to enjoy it. Having refused to receive the 666 mark of the beast "in their right hand, or in their forehead" and therefore being unable to "buy or sell," and refusing to "worship the image of the beast [they would] be killed" (Rv 13:15-17). It makes no sense to suggest that if you can secretly eat out of enough garbage pails to avoid starvation and still keep one step ahead of Antichrist’s world police death squads, "Blessed hope! You’ll be raptured at Armageddon!" 8) As for the Rapture, unquestionably, the early church was taught to expect it at any moment and to eagerly watch, wait and look for Christ’s return, when He will catch all believers up into His Father’s house to be with Him eternally: "Let your loins be girded about, and your lights burning; And ye yourselves like unto men that wait for their lord..." (Lk 12:35, 36); "For our conversation is in heaven; from whence also we look for the Saviour, the Lord Jesus Christ: Who shall change our vile body, that it may be fashioned like unto his glorious body" (Phil 3:20); "...ye turned to God from idols to serve the living and true God; And to wait for his Son from heaven...even Jesus, which delivered us from the wrath to come" (1 Thes 1:9, 10); "looking for that blessed hope" (Ti 2:13); "unto them that look for him shall he appear the second time without sin unto salvation" (Heb 9:28). One does not watch, wait and look each day for something that cannot happen until Antichrist’s advent or the end of a seven-year tribulation. Thus, there must be a coming of Christ that could happen at any moment. 9) The pre-trib Rapture has a powerful, purifying effect upon those who have this hope in Him. The fact that it is to be expected at any moment can only mean that it must come before Antichrist is revealed and before the Tribulation. If Christ could come at any moment, there is no time to waste, no time to delay witnessing, no time to indulge in sin with the idea of repenting and changing one’s ways later: "And now, little children, abide in him; that, when he shall appear, we may have confidence, and not be ashamed before him at his coming" (1 Jn 2:28); "And every man that hath this hope in him purifieth himself, even as he is pure" (3:3). In contrast, anticipation of the Second Coming (or a post-trib rapture at that time) could hardly have a purifying effect, because it can’t take place for at least seven years -- plenty of time to delay witnessing, getting right with the Lord and holy living until later. In fact, the Lord said that believing he couldn’t come at any moment would have the opposite effect from purifying believers: "If that servant say in his heart, My lord delayeth his coming; and shall begin to beat the menservants...and to eat and drink and to be drunken; the lord of that servant will come at an hour when he is not aware" (Mt 24:48, 49; Lk 12:45, 46). 10) The Rapture is not only an event that we are to expect momentarily and to eagerly anticipate, but we are to ask our Lord to come immediately. Here is how the Bible ends: "And the Spirit and the bride say, Come....Surely I come quickly. Amen. Even so, come, Lord Jesus" (Rv 22:17, 20). In contrast, the Second Coming is not of such a nature and timing that we could ask Christ to effect it right now. 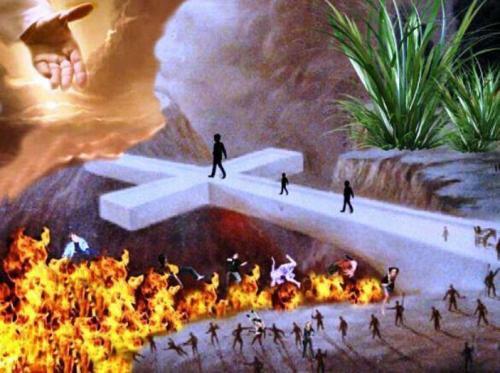 Since Christ obviously cannot return to the earth in judgment to rescue Israel, stop the destruction at Armageddon and destroy the Antichrist along with his kingdom and his armies until the end of the Tribulation, for us to cry out to Christ, "Come, Lord Jesus!" would be like demanding payment on a debt that isn’t due for seven years. Yet, "the Spirit and the bride" do cry out, "Come, Lord Jesus." We can only conclude that there must be a coming of Christ that could occur at any moment. It cannot be the Second Coming or a post-trib rapture. It can only be a pre-trib rapture. 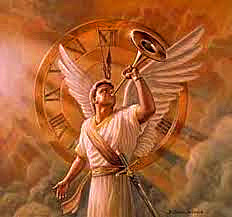 11) There are at least two events which occur in heaven for which the church must be present and which, therefore, cannot take place until the Rapture occurs: the judgment seat of Christ, and the marriage of the Lamb to His bride: "for we shall all stand before the judgment seat of Christ" (Rom 14:10); "For we must all appear before the judgment seat of Christ; that every one may receive the things done in his body, according to that he hath done, whether it be good or bad" (2 Cor 5:10); "the marriage of the Lamb is come, and his wife hath made herself ready. And to her was granted [to] be arrayed in fine linen, clean and white [as a result of her cleansing at the judgment seat of Christ]" (Rv 19:7, 8). Both these events occur prior to Christ’s return to earth and thus demand a prior rapture. It is clear that the Second Coming cannot occur until these two vital events, which demand the presence of the church in heaven, have taken place. It is only after the Lamb has been married to His bride that she accompanies Him back to earth to rescue Israel and to destroy Antichrist and his armies: "And the armies which were in heaven followed him...clothed in fine linen, white and clean" (Rv 19:14). We know not why the Bridegroom tarries, but exactly as He foretold, the church is asleep. In that context, our Lord added: "And at midnight there was a cry made, Behold the bridegroom cometh; go ye out to meet him" (Mt 25:6). May each of us be listening eagerly for that cry of the Holy Spirit in our hearts. Indeed, we ought to be sounding it aloud, for the Lord could come at any moment to take us to Himself. So let us watch and wait and look for Him in eager anticipation -- and encourage others to do the same. It will have a purifying and motivating effect in our lives. Having completed chapter 12 up to verse 5, we have examined the spiritual truths that involve our transformation via the sanctifying power and process of God’s Spirit and this incredible transformation is manifest among the members of the body of Christ. As you all know, there is much happening in the world. Watching and reading the headline news is astonishing in light of the fact that these things were prophesied in the scripture over 2,000 years ago. Amazing! Time is short. Our hope is in the Lord Jesus Christ! As believers, we have no need to fear but are to put our trust in the Lord! The world does not have the answers…evil days are going to wax worse and worse! The Lord spoke about His coming again and likened it to the Ten Virgins, Five Wise and Five Foolish, slumbering and sleeping. When the call went forth “Behold the Bridegroom cometh” the Five Wise woke up and began to trim their lamps and the Five Foolish discovered that they did not have sufficient oil to trim their lamps. So the Five Foolish wanted to borrow some oil from the Five Wise. And the Five Wise told them they did not have enough to share with them and that they should go to the village and buy their own. As they did, the Bridegroom came and the scriptures tell us that they that were READY went. The question is, ARE YOU READY? If our Bridegroom comes tonight to gather His Bride, is your lamp full and are you sufficiently prepared to meet the Lord in the air? The signs spoken of in the Scriptures pointing to the coming of our LORD are here. As we watch and ready ourselves in these final hours, may we be propelled to let others know how late the hour is. I pray that if you do not know Jesus Christ as your Lord and Savior, now is the time of your salvation! Repent and Believe! Turn from your way and ask the Lord Jesus to save you and He will! He loves you and suffered and died for each of us to pay for our sins that we might be reconciled to God forever (John 3:16; Isaiah 53)! 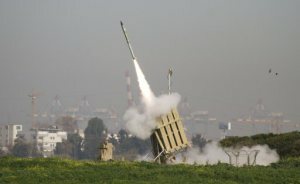 Anyone following daily intelligence reports from Israel knows that the threat of war is looming once again in the middle East. 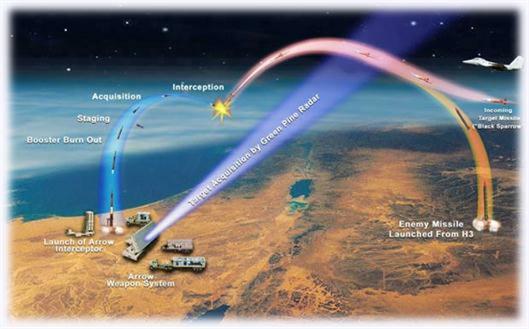 Many Israeli politicians and IDF top brass are presenting their doomsday scenarios while Israelis instinctively sense that this is the lead-up to another imminent and bloody conflict with Hezbollah, Syria, and Iran. Lines are forming in cities for new Israeli gas masks. Many are finding that there are not enough for everyone in the country. Makeshift bomb shelters are being hastily built throughout Israel, including underground parking lots. There simply are not enough shelters for every citizen. Unfortunately, many of the shelters that do exist are neglected and undersupplied. (Reuters) – The Syrian government is still in full control of its chemical weapons stockpiles, Israeli defense officials said on Tuesday, in an apparent bid to calm fears that a non-conventional war could be looming. Syria’s 16-month-old conflict has spread concern that the chemical arsenal, acknowledged by Damascus for the first time on Monday, could fall into the hands of Hezbollah, the Lebanese Islamist group allied to Iran and Syrian President Bashar al-Assad, or that Assad could use then in a desperate last stand. 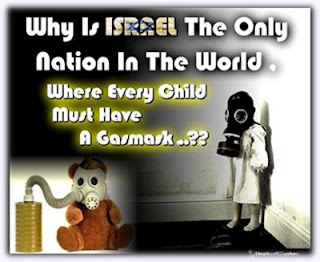 ✡ Israelis grab gas masks as Iran attack threat rises. 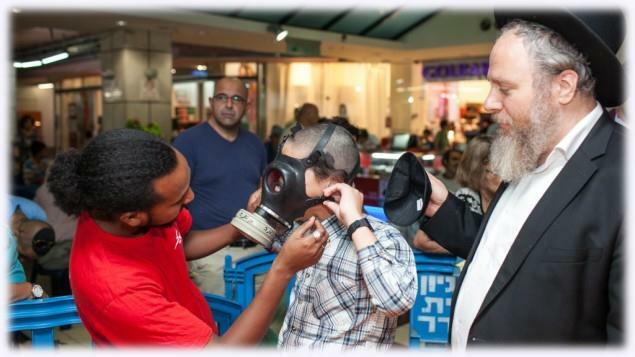 (Bloomberg News) Israelis crowded in front of a storefront at a Jerusalem shopping mall this week to pick up new gas masks, part of civil defense preparations in case the military strikes Iran and the Islamic Republic or its allies retaliate. “Our leaders seem to have gotten very hawkish in their speeches, and this time it seems they mean what they say,” said Yoram Lands, 68, a professor of business administration, who was picking up new masks for himself and his wife at a distribution center in the mall. Prime Minister Benjamin Netanyahu told visiting U.S. Defense Secretary Leon Panetta this month that time “is running out” for a peaceful solution to Iran’s atomic program. 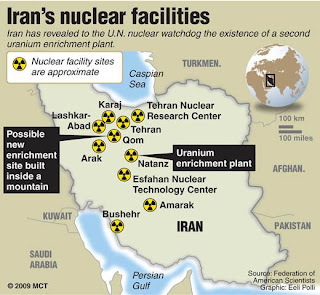 DEBKAfile At its present rate of enrichment, Iran will have 250 kilograms of 20-percent grade uranium, exactly enough to build its first nuclear bomb, in roughly six weeks, and two-to-four bombs by early 2013, military and intelligence sources report. Hence the leak by an unnamed Israeli security source Sunday, Aug. 12, disclosing Iran’s progress in developing the detonator and fuses for a nuclear warhead which can be fitted onto Shehab-3 ballistic missiles capable of reaching Israel. Since 20 percent refined uranium is a short jump to weapons grade fuel, Iran will have the capability and materials for building an operational nuclear bomb by approximately October 1. Anti-American fury sweeps Middle East over film...US embassies breached. KHARTOUM/TUNIS - Fury about a film that insults the Prophet Mohammad tore across the Middle East after weekly prayers on Friday with protesters attacking US embassies and burning American flags as the Pentagon rushed to bolster security at its missions. The obscure California-made film triggered an attack on the US consulate in Libya's city of Benghazi that killed the US ambassador and three other Americans on Tuesday, the anniversary of the Sept. 11, 2001 al-Qaida attacks on the United States. In his Middle East update, Jimmy DeYoung states, "Muslim reactions to a documentary film supposedly attacking the Islamic faith seems to be overkill but may set the entire region afire which is what Bible prophecy says will happen in the end of times. What started as a protest in Egypt of a documentary film attacking the Islamic faith turned violent when Islamists attacked the US consulate in Benghazi, Libya and killed US ambassador to Libya. These protests have spread across the Middle eastern region and they seem to be more violent as time passes. Because of the Arab Spring, there is an atmosphere of revolution in the air and demonstrators seem to feel free to kill and destroy. The Arab Spring, responsible for taking down the Arab leaders of these nations who used strong arm tactics to hold down such demonstrations are gone and violence has prevailed. Bible prophecy, written 2500 years ago, reveals that this type of scenario will be prevalent in the last days. 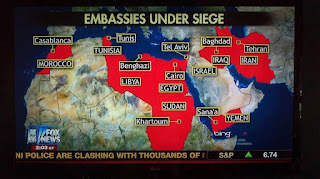 Ezekiel 38 mentions many of the nations that have been involved in embassy demonstrations. The Psalmist in Psalm 83 continues the list of nations involved in radicalism. The prophet Daniel foretold of the first two nations to get involved in radical violent actions. These two are Egypt and Libya, Daniel 40:40-43 where the King of the South is Egypt. Jesus Christ said as recorded in Matthew 24:6-7 that there would be wars and rumors of wars, nation against nation, and kingdom against kingdom." In the following special prophecy update, pastor J.D. takes some time at a midweek Bible study to talk about the events ongoing this week in the Middle-East...It is all about Israel! More than ever, today is the day, now is the time to rise up from our sleep, cast off the works of darkness and begin to intercede with fervent prayer as His Word teaches us to watch and pray! There is A LOT going on. Everything that can be shaken is being shaken! “Behold, what manner of love the Father hath bestowed upon us, that we should be called the sons of God: therefore the world knoweth us not, because it knew him not. 2 Beloved, now are we the sons of God, and it doth not yet appear what we shall be: but we know that, when he shall appear, we shall be like him; for we shall see him as he is. 3 And every man that hath this hope in him purifieth himself, even as he is pure." Those who have believed on the Lord Jesus Christ, who believe in the Second Coming and the Rapture of the Church, who know bible prophecy and can see the signs of His coming must yield to the Holy Spirit and allow that sanctification process to keep us sensitive, alert and watchful in these final hours. Read more! The following is a treatment of the article written by Heather Kirk-Davidoff as found in the book An Emergent Manifesto of Hope. Mrs. Kirk-Davidoff is the Enabling Minister of the Kittamanqundi Community (an independent church) in Columbia, Maryland. She is married to Dan Kirk-Davidoff a climate scientist. Along with writing partner, Nancy Wood-Lyczak she has authored two books, Talking Faith (Chalice Press, 2004) and Dare to Dive In (Abingdon, 2006). She can be reached at kirkwood associates. Davidoff then stated that some see Angel as a ‘Christ-figure’ and asked what she thought about that. The woman stated that she felt a lot closer to Angel than she did to Jesus. This, she received as a result of this young lady relating her feelings of identity and love for a homosexual more than to Jesus. This is what she found encouraging and was ‘hooked’ into this sort of evangelism. Yet how did this experience help her to know Jesus better?? One must wonder how one can follow Jesus better by going to a bar or find spiritual instruction from the unregenerate that can relate to those portraying homosexuals better than to Jesus, the Risen Christ and the Word of God. While it is true that much of the church today is inverted or even perverted from what the LORD intended; many churches have become insular and isolated from the world and seeking only to draw in people in order to expand their ministry with a spiritually unhealthy perspective and motivation that only seeks its own betterment. The primary focus of the church is to worship God, proclaim the Gospel, feed His sheep, make disciples who in turn go out into the world and proclaim the Gospel, allowing the LORD to add to the church daily “such as should be saved”. None of this involves building relationships with the lost at the expense of foregoing the biblical Gospel and as a result of such Gospel proclamation, behold sinners being transformed into saints and partake of that sort of relationship that is holy and godly fellowship. Davidoff had exchanged a ‘recruitment’ sort of attitude for the “cultivation of relationships” but both attitudes are wrong. We Christians are not to ‘recruit’ the lost as though we were inducting them into some society or organization. Rather, simply share the good news of Jesus Christ the Lamb Who was slain for the sins of the world, Who delivers all who come to Him from sin, death and hell. We witness the Spirit of God do His work of spiritual conversion, upon such a time these saved souls are not recruited, but redeemed, regenerated and baptized into the body of Christ which is not a society or an organization but a living entity: the church which the LORD founded upon Himself – the Rock (Matt. 16:18). If the church ‘recruits’ then those recruited belongs to that church. If they are redeemed by the LORD Jesus Christ and His blood, then they belong TO HIM! Nor are we to cultivate relationships as an end of itself, and certainly not to better ourselves and, or our understanding of Jesus Christ, which is absurd. I was once a witness of a professing believer who was sharing the Gospel in the form of the Four Spiritual Laws with a gentleman downtown. The Christian rattled off the four laws and accompanying Scriptures in an almost monotonous drone, reciting by rote this method of evangelism that he was taught. The man hearing him even said, “Wow, you got this thing down cold, don’t you?” Cold is the word I would have used as well. Emergents have a certain legitimate complaint about evangelical ‘recruitment’ (to build their own church-kingdom?) and the dispassionate demeanor of some who don’t at all seem interested in people but in their own purpose, however it must be understood that simply because the Gospel and the preaching of the Cross has been done inappropriately, that it needs to be replaced by a relational gospel that’s all about conversation rather than conversion. Conversations do nothing for the eternal soul that is under God’s condemnation because they have violated His Law. The conversion of the soul is brought about by the Word of God itself and the faithful preaching of it! She contends that “developing relationships with the people in their church and with their neighbors – and they find that their church grows without their even trying.” Yet one must ask, ‘Is this a healthy growth?’ In today’s church growth movement what we observe is not the transformation of the world into believers, but believers (so-called) being conformed to the world – a phenomena that is entirely contrary to biblical doctrine such as found in Romans 12: 1-2! Davidoff states: “…the evangelism practices that [evangelicals] were taught no longer worked because they were grounded in assumptions that did not fit their current settings.” So, the Gospel as its been preached for 2000 years is no longer applicable universally to all cultures, peoples, places and times as was practiced in the Scriptures and Christians? Are people no longer sinners? Are they no longer separated from a holy God and destined for hell? Are they now no longer under God’s judgment for sins committed against His Holy Law? “. . . we want to build relationships with other human beings. Because of that, we’re willing to give up just about everything we’ve ever learned about how to grow a church or spread the gospel,” says Davidoff. It’s certainly vital that the church and its members have relationship and that the world sees that the love we have for one another is inhuman, and rather of divine origin, which they attest to the truth that we are “of God” (John 13:34-35; 1 John 4:12). That such love must be shown to the lost of this world, and never a greater demonstration can be made to express this love than the proclamation of the Gospel! What is most crucial is not that we know others or that they know us in relationship, but that they know God and that He knows them! 28 There shall be weeping and gnashing of teeth. . .
See also 1 Cor. 8:3; Gal. 4:9; 1 John 2:14. “. . . our relationships with others give us the most insight into who God is and where God is leading us,” explains Davidoff. Oh really? When it comes to insight as to Who God is, and understanding the will of God and where He is leading us, looking to others (particularly the lost sinner who is blind to God and without spiritual understanding of Who God is) for revelation knowledge would be laughable if it weren’t so very tragic! “What if our churches took on the practice of building relationships seriously? What if we not only cultivated Christian fellowship through worship and small groups but also held as a high priority the building of relationships with people who are not part of our church, even people who are very different from us? Far from becoming irrelevant, churches would become essential training grounds for a whole new breed of Christians who want to grow in their understanding of this spiritual path,” Davidoff states. A rather peculiar notion since Christians are not bred by training, especially not by other Christians, much less by the people of this world; rather we are bred (born in fact to new life) by the Holy Spirit of God, the author of life eternal (John 4: 14; 6: 27, 63; 10: 28; 17: 2-3; Romans 6: 3-5; 8: 10; 1 John 5:11-12). 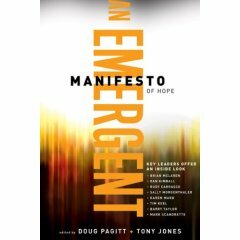 In summary, Heather Kirk Davidoff’s concise treatment of Loving Evangelism, Emergent Style is heavy on relationship and light – almost non-existent – on the Gospel and a Jesus-centered theology, replacing it rather with a social gospel. 2) As we learn about Him and of Him as revealed in Scriptures? It seems a consistent habit of the Emergent Church Movement to put the proverbial cart before the horse – they use relationship with others to lead to discovering their Jesus; whereas as we Christians learn and share Jesus from the Bible and see people respond to the Gospel, a relationship is established by the Spirit in “adding to the church daily those that should be saved” and we discover new-born brethren who likewise walk in the Light as He is our Light, the Light of the world – and then, and only then can we have fellowship one with another! It is rightfully noted that as followers of the Way: Jesus Christ Himself, that we not view the lost as prospective ‘recruits’ to build our own church-kingdoms (Our commission is to seek first the Kingdom of God, not our own fiefdoms in local churches) but rather to echo the heart of God and His love for these lost souls and touch their lives with the grace with which our LORD had touched ours! Evangelism, of course is all about the heralding of the Gospel (good news) of Jesus Christ, and everywhere in Scripture, this proclamation is accomplished by very ‘non-Emergent’ means! It is the ministering of the Truth to those who don’t know it and cannot begin to understand it apart from the Spirit of God! It is the giving of the Gospel of salvation which is something contrary to religious pride and greed to acquire ‘heavenly blessings’ by human efforts. It is the death of self, and new life in Christ Jesus the LORD of Glory and the WORD made flesh! 2 To proclaim the acceptable year of the LORD . . .
12 For I neither received it of man, neither was I taught it, but by the revelation of Jesus Christ. Read more! 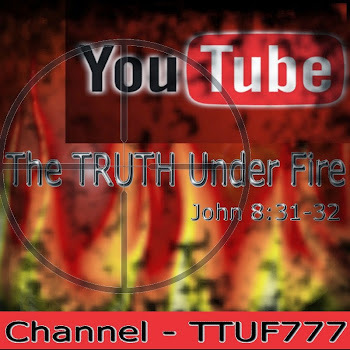 Continuing on in our study of, Living in the Last Days, the next two parts will be discuss the rise of False Teachings and Deception, as well as Christian Persecution. Just a few words before we begin. Today we are seeing a multitude of false teachers and prophets rising up in the Christian church. When we think of false teachers our minds automatically take us to bizarre cults, that of Jim Jones and David Koresh. Though it is true that false teachers often prey outside of the Christian church, we are seeing more and more rising up from within. They bring with them a false gospel and a false religion. As a result, great multitudes are being led away from the Gospel of Salvation through Jesus Christ into a deluded deception. Jesus warned about false prophets in Matt. 24:24 stating that in the last days many false prophets would arise and deceive, if possible, even the elect. There are many examples of modern day false prophets, each distorting the truth and setting a course to damnation. It is important to know that we can recognize these false teachers, they can be identified by their morals and their motives. They are driven by lust, greed, selfish gain, exploitation, and sensuality. They are self-centered, self-serving, and self-indulgent. Bob Deffinbaugh writes, "When false teachers “arise,” their heresies are “secretly introduced” (verse 1). They “creep in unnoticed” (Jude 4). These false teachers are devious and deceptive, not wishing to be known for what they are. In some cases, they do not even recognize their own condition. They not only deceive, they are themselves deceived (2 Timothy 3:13; see 2 Peter 2:13). They rely on slick methods rather than on the Spirit of God and appeal to the lusts of the flesh (compare 1 Corinthians 2; 2 Corinthians 2:17; 4:1-2). With the explosion of false teachers in the world, we can also expect to see a great number of men, women and children following after them. Add to that a great number of Christians who are falling away from the truth. This is the coming Apostasy. They are those who once believed and then rejected the truth of God. Just last week I posted an article about a number of Clergy turning atheist, and a foundation set up by Richard Dawkins as a safe haven for these “men of God” who have turned their back on God and Biblical truth. What a sad testimony they attribute to the Lord of Life. What a horrible example they are to their parishioners. What a stumbling block they have set before those struggling in their faith! Yet the Bible tells us that these things will come, and indeed they are! Not only will we see a rise in false teachers, a falling away, but we will also see growing persecution towards those who follow Christ. Christian persecution is on the rise throughout the world, and it is only going to get worse. In the book of Peter, the writer warns us about a more intense period of persecution. We are not to be surprised by these things; we are to BE READY when they begin to happen! Are we not seeing these things happen before our eyes? Have we ever seen such hatred towards God or Christianity as we are witnessing today? Even here in our own nation, we are witnessing an anti-Christ spirit swelling in the hearts and minds of the people. Just this week we witnessed the democrat delegates booing during a voice vote on whether or not to put the words God and Jerusalem back into the language of this year’s platform for the Democrat National Convention. I was horrified while watching the crowds jump to their feet while booing GOD Who Is The Mighty CREATOR of All! I tremble just thinking of their arrogance and the coming judgment. With all the warnings given to us in the Bible about the coming birth pangs, and the beginning of sorrows, I hear many a Saint warning fellow believers to "get ready". Should we be getting ready? Listen folks, the Bible tells us to BE READY! If you’re playing games in your Christian walk balancing one foot in the world with one foot in the Lord…you are NOT ready! This is not the time to be playing games. I implore you to get off the fence once and for all and follow Jesus Christ. Repent and turn to God, and start living in obedience to His word. Yes, the Bible tells us to BE READY, and it also tells us to WATCH; STAND FIRM IN THE FAITH; BE STRONG; BE WISE; STAY AWAKE; ALERT; BE SOBER; BE VIGILANT; PUT ON CHRIST; TEST THE SPIRITS; and so forth…. Can these words be any more clearer, stronger and sober? It gives us a clear picture of how we ought to be living each day in Christ. Yet Christians today are resting on their laurels, making a bucket list of things they’d like to do, living carelessly, and compromising without shame. Take heed, dear Christian, take heed and follow hard after the Lord! The next problem area we will encounter in the last days is the proliferation of false teaching and deception and this includes false Christs and false prophets. The Lord Jesus Himself warned us of this in Matthew 24:4-5, 11, 23-24. We see this emphasized also in the various epistles in the New Testament. The apostle Peter spoke of false prophets and teachers arising from among the people who will secretly introduce destructive heresies. Jude refers to these as those who have crept in unnoticed, ungodly persons who turn the grace of God into licentiousness and deny the Master. False teachings and deception can take many forms and approaches. Some may obviously be seen as being unacceptable, yet others may not be so clearly perceived as being unhealthy. There are followers of cults and heresies who may even be sincere in some cases; nevertheless they are still on the wrong path and the consequences would be serious. We see in the New Testament how the apostle Paul was so zealous to maintain the purity of the gospel. When he saw how the Galatian Christians were influenced negatively, he wrote to them in very strong words and with a harsh tone (see Galatians 3:1-11). The very basis of justification by faith was challenged when the Galatian Christians seemed to accept the teachings of false prophets who advocated justification by the law which included circumcision as mandatory. Paul defended vigorously the gospel and justification by faith. We see this concern of the apostle extended also to the Corinthian Christians. So great was Paul's burden and concern that he used very strong terms to describe the false apostles (see 2 Corinthians 11:2-4, 13-15). With regard to false Christs, we may think it preposterous that some of God's children can actually be fooled by those who claim to be the Lord Jesus. Yet, in the history of the church, there have been many who claimed to be the Lord, and many of them had a large following which included those who were also generally sincere in their desire. The Korean by the name of Moon established a large following internationally called the Moonies and he was reported to have claimed to be the Son of God. And even though he has been investigated for tax evasion and other related issues in his multimillion business ventures, he is still holding his own in influencing many by his teachings. "Beware of the false prophets, who come to you in sheep's clothing, but inwardly are ravenous wolves. You will know them by their fruits. Grapes are not gathered from thorn bushes nor fig from thistles, are they?…..Many will say to Me on that day, 'Lord, Lord, did we not prophesy in Your name, and in Your name cast out demons, and in Your name perform many miracles?' And then I will declare to them, 'I never knew you; depart from Me, you who practice lawlessness'" (Matthew 7:15-16, 22-23). Notice what the Lord Jesus said about the false prophets. They come to us in sheep's clothing but inwardly they are ravenous wolves. It is not easy to detect their true state when we look at their appearance and presentation. Outwardly they may call the Lord Jesus "Lord, Lord" and may even perform miracles, cast out demons and prophesy in the name of the Lord. But take note what the Lord Jesus will declare to them, "I never knew you, Depart from Me, you who practice lawlessness." In reality, such ones are not doing the will of the heavenly Father and their lives are characterized by the practice of lawlessness. Their characters do not reflect true godliness and godly values - the believers will know them by their fruits. However, for the undiscerning, naïve and impressionable, their so-called miracles and supernatural deeds may make an impact and cause much deception. Here is a call for God's people to be alert and vigilant! Nonetheless, the issue of false teachers, false prophets and false Christs is a real problem facing believers in the last days. The Lord Jesus told us beforehand that there will be false prophets, false Christs, false teaching as well as deception, and the objective is to mislead many, including God's children. We need to be alert, we need to be vigilant; above all, we need to be grounded in the Scriptures and be men and women who understand and appreciate what we believe. The apostle Paul reminded the Corinthian Christians, "Brethren, do not be children in your thinking, yet in evil be babes, but in your thinking, be mature" (1 Corinthians 14:20). We must not be like little children tossed to and fro by every wind of doctrine. Instead, let us learn to be men and women of stature and convictions. We turn our attention now to another major problem area - PERSECUTION. To some Christians, persecution and suffering are topics which they vaguely associate with Christian living. Persecution is not something real in the lives of these various ones, and many of the scriptural truths related to this topic are not clearly perceived and understood. They seem so distant and the attitudes and response to persecution when it does arise are rather disappointing for disciples of the Lord. Let us take note of what the apostle Peter said in 1 Peter 4:12-16 - "Beloved - do not be surprised at the fiery ordeal among you, which comes upon you for your testing, as though some strange thing were happening to you…" When suffering and persecution do come, as God's children, we are not to be surprised - it is not something strange or unexpected. In fact, it is an area which we need to be prepared for if we seek to honor the Lord. The apostle Paul himself declared that all who desire to live godly in Christ Jesus will be persecuted. The degree of persecution may vary, with differing intensity, for different ones during different periods. Nevertheless, it is something God's children will have to encounter, particularly in the last days. We should therefore not be caught unprepared or off guard; persecution may not just be in terms of physical sufferings, it may take the form of unfair treatment by men or social disapproval by friends and even family members because of our faith. The problems we encounter should be because of our faith and not because of wrongful or foolish behavior. The apostle Peter emphasized that the suffering is for the name of our Lord and for being a Christian, and not because of being a murderer, a thief, an evildoer or a troublesome meddler. There may be those among God's children who find themselves in trouble because of foolishness in their approach towards others and because of unwise responses in life. This is not in the same category as suffering for the sake of the Lord. The preparedness to suffer persecution as a Christian would help us in our response, should such a situation arise. I remember interacting with a young Christian some years back. He was lamenting that if he knew that Christian life would involve so much pain and suffering, he would have hesitated in becoming a Christian. Part of this, it seems, was due to how the gospel was shared with him. The gospel was presented to him as a wonderful prospect for his life, full of joy and meaning, and nothing much was mentioned about the cost of discipleship and the prospect of suffering and persecution. So when persecution did come, he was not prepared and he was badly shaken. Contrast this with a Christian sister whom I know. She was one who understood the cost of being a Christian and even though she had to leave home because of her faith and even now has to endure the displeasure of her own family and friends, she continues to press on in her walk with God. I am aware that it pains her heart to have her own family members turning against her, yet her love for the Lord and willingness to go on, despite the tears and agony, truly warm my heart. The apostle Peter also touched on the attitude and response of Christians in the midst of persecution. He said, "…to the degree that you share the sufferings of Christ, keep on rejoicing…if you are reviled for the name of Christ, you are blessed, because the spirit of glory and of God rests upon you” (see 1 Peter 4:13-14). Yes, indeed, we are not just to grit our teeth and to endure and to hang on; we are to rejoice and to keep on rejoicing for we are truly blessed in the Lord! Peter went on to say that for the one who suffers as a Christian, let him not feel ashamed but in that name let him glorify God. Our attitude and response during such a time can be a positive testimony as well as a vehicle to glorify and to honor God. I read about a Christian brother who died for his faith in his homeland. His testimony and his words continue to be an inspiration to many to press on in their walk with God. Before he died, he was asked this question. "Are you not afraid that you would be a social outcast by becoming a Christian?" And his reply was along this line, "I have thought this through over carefully and I am not just prepared to be shunned by my people but I rejoice even if I have to die for my Lord." This brother eventually gave his life for his Master and his words and testimony live on in the hearts of many of God's people in a land where being a disciple of the Lord would inevitably mean pain, persecution and suffering. James, the brother of the Lord, also wrote about the attitude of the child of God towards times of sufferings and trials, in James 1:2-4 - "Consider it all joy, my brethren, when you encounter various trials, knowing that the testing of your faith produces endurance. And let endurance have its perfect result so that you may be perfect and complete, lacking in nothing." Here the apostle James highlighted one significant reason why we can rejoice in the midst of pain and suffering. If we respond properly, times like these would purify and strengthen our faith and they would serve to mold our character. Something precious and wonderful can take place in our lives during periods of persecution and trials and this is certainly something to rejoice in. God does allow persecution and suffering to test and purify the faith of His people. Looking at the history of the church, we may recall how the Roman Christians were burnt at the stakes, stoned and thrown to the lions' den. Even today, in some contexts, the Lord's people still undergo torture, imprisonment and ostracism because of their faith. The church of God can become stronger and purer during such times of testing. 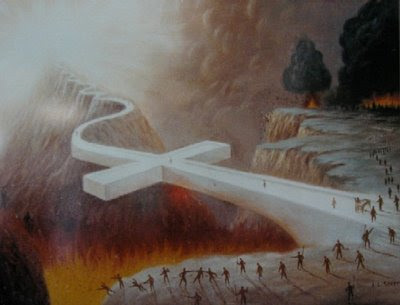 The evil one uses the pull of this world and deception to ensnare the people of God. In the area of persecution, the evil one is also very actively at work. And the primary weapon he uses in persecution is FEAR. Fear of pain, fear of suffering, fear of rejection - all these are harnessed to cause the children of God to falter and to compromise. So when the pull of the world and deception fail, the prince of this world would resort to fear as his offensive weapon. In practice, different combinations of the three may also be employed at the same time. So, as we face the onslaught of persecution, let us pause and consider several principles which may help us in our perspective and response. "Do not fear those who kill the body but are unable to kill the soul; but rather fear Him who is able to destroy both soul and body in hell" (Matthew 10:28). Let us take heart in the fact that the evil one is limited. He may inflict pain and suffering on our body but he cannot ultimately touch our soul if we remain steadfast and true to the Lord. The Scriptures remind us that the sufferings in this world are only temporal; they cannot be with the eternal weight of glory that awaits the faithful servants of God. Even physical death, which seems so terrifying to those without God, has lost its sting for those who have their eyes upon God and eternity. And the Lord would grant grace sufficient for us in each moment of trial if we learn to look to Him and to cast our burdens upon Him. The Lord, in His wisdom and faithfulness, would regulate and He would not allow us to be tempted beyond what we are able but will provide the way of escape that we may be able to endure it. Hence, we need not succumb to the fiery darts hurled at us by the evil one; we need not be fearful of those who kill the body, for our lives and our souls are secure in the hands of our dear Lord and Master. Not only have we nothing to fear; in fact, we can count it a privilege to suffer for our Lord and Master. The Lord will not overlook our faithful response during such times. "Blessed are those who have been persecuted for the sake of righteousness, for theirs is the kingdom of heaven. Blessed are you, when people insult you and persecute you, and falsely say all kinds of evil against you because of Me. Rejoice and be glad, for your reward is great; for in the same way they persecuted the prophets who were before you" (Matthew 5:10-12). The Lord Jesus Himself here affirms that those who are persecuted for righteousness sake and on account of Him are indeed blessed. They should be glad, for their reward is great in heaven. During times of persecution and suffering, let us not forget to look at the example of our Lord Jesus Christ. The apostle Peter, in writing on the subject of suffering unjustly, sought to help the Christians to remember this (see 1 Peter 2:19-24). The Lord has indeed left us an example for us to follow in His steps. Let us learn to walk in the steps of the Master and let us always remember that all our sufferings cannot ever be compared with what the Lord has gone through for us at Calvary. Let us humbly learn from Him and seek to honor Him in all our ways. See also: Living In The Last Days - Part 1; Part 2; Part 3; Part 4 Read more!